Musicians in search of a more unique form of instrument might enjoyed this video of a Koka’s Beat Machine that take the form of manually programmable instruments that produce different kinds of rhythmic and melodic patterns. 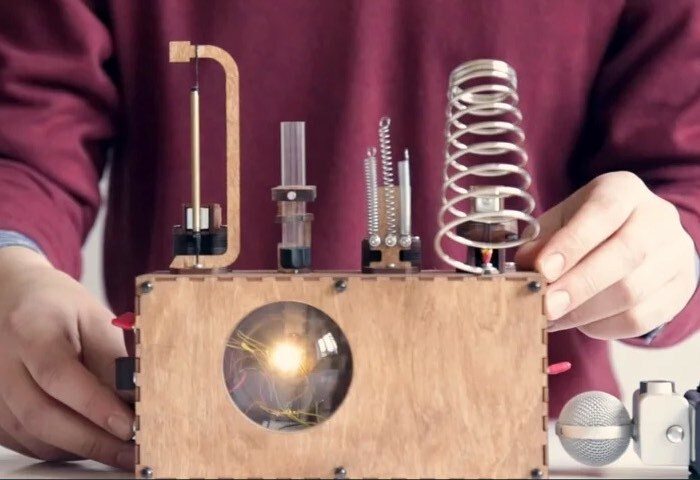 Springs and coilsHave been combined to create a handmade analog beatmaker, that can be seen in the video below and is capable of creating a wide variety very original sounds. The analog beatmaking machines have been handbuilt by Norway-based Georgian artist Koka Nikoladze, using springs, coils, wood, and metal. Jump over to his official website for more details via the link below. Koka’s Beat Machine No. 2 – Koka’s beat machines are electromechanical musical instruments, which are programmable and produce different kinds of rhythmic and melodic patterns.